all the best for your exams dear and hope your toe is feeling better soon too! Such an amazing ladylike chic look, absolutely head over heels for this! You look amazing. 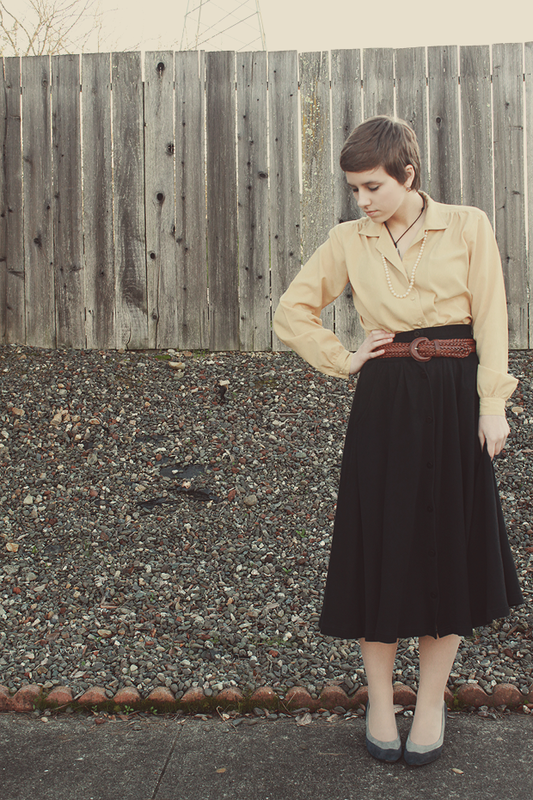 That blouse and that skirt go together so well - and you look absolutely beautiful. The length is so perfect on you! You actually look so nice and tall in that skirt! Im always afraid that length will make me look like a hobbit! Hope you have a lovely weekend and that last shot is beautiful! 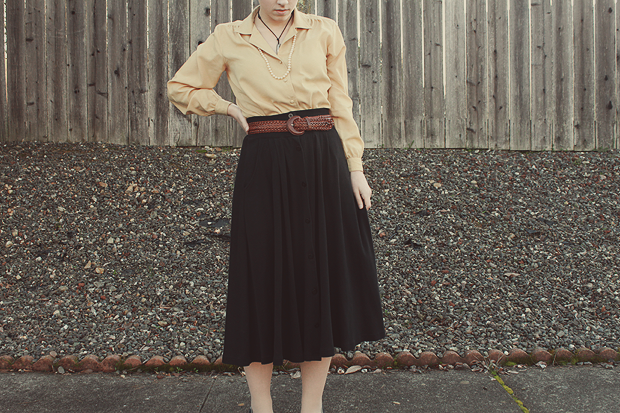 This is such a classy outfit, I love it! Your heels are so pretty! Best for your studies. Have a good weekend! Oh wow...your shoes are incredibly lovely. 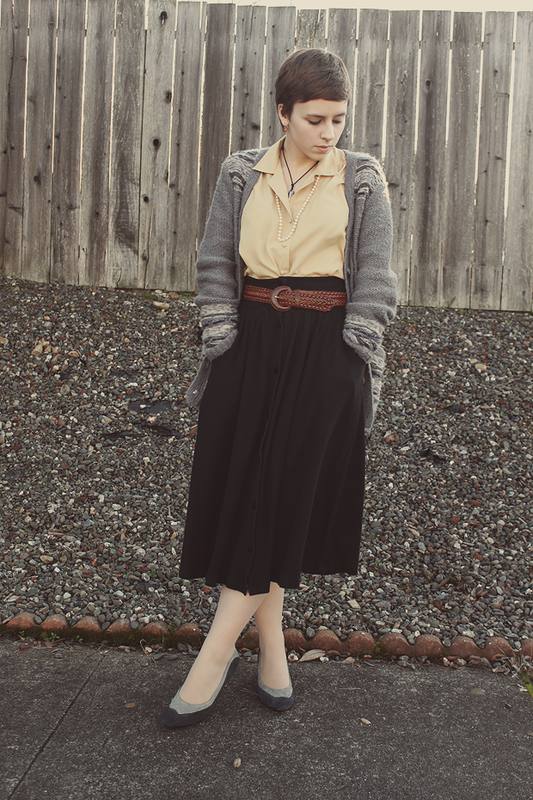 I'm having some major shoe envy right now:) I really love that length of skirt on you. Very classy/chic. You pull it off so elegantly. Best wishes on your exams. Hope your toe is feeling better too! Those shoes are just altogether great! Good luck on the exams!!! 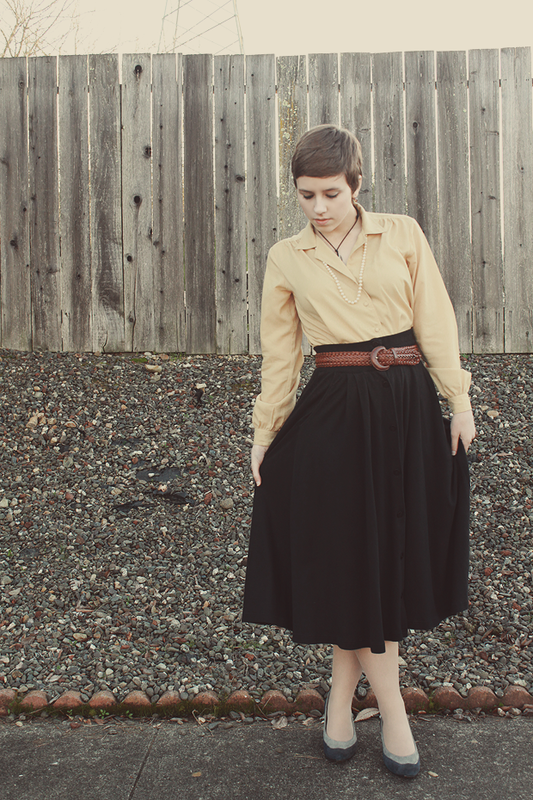 The length of this skirt is just wonderful on you. I really like the overall feminine vibe of this outfit, so pretty. Good luck on your exams! I just found your blog, I love it!! 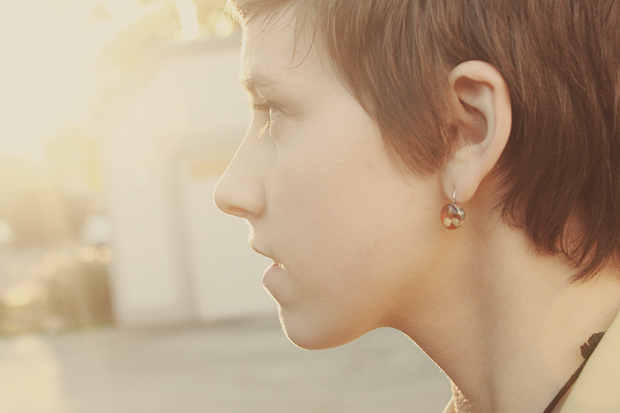 Your haircut is awesome, and you have a really lovely style. There is NO way that you're only 17! P.S. I agree with the commenter above, you do kinda look like Emma Watson. Which is a good thing. Love love love! That pearl necklace tucked under the blouse collar is so charming. You look so elegant... and I'll bet that this outfit is actually secretly comfy too, which is the best. As for the photo stuff I mentioned last time, what I would recommend doing is putting the camera in Av (aperture priority) mode and setting the aperture to at least f8 or f11 if you are going to do self-timer. The best thing, though, is to find something parallel to where you intend to stand (a tree, a car, or a mailbox, for example) and focus on that! that way, you'll be in crisp focus, too. Great outfit! I loved it! I love this outfit. You look like an old film star. 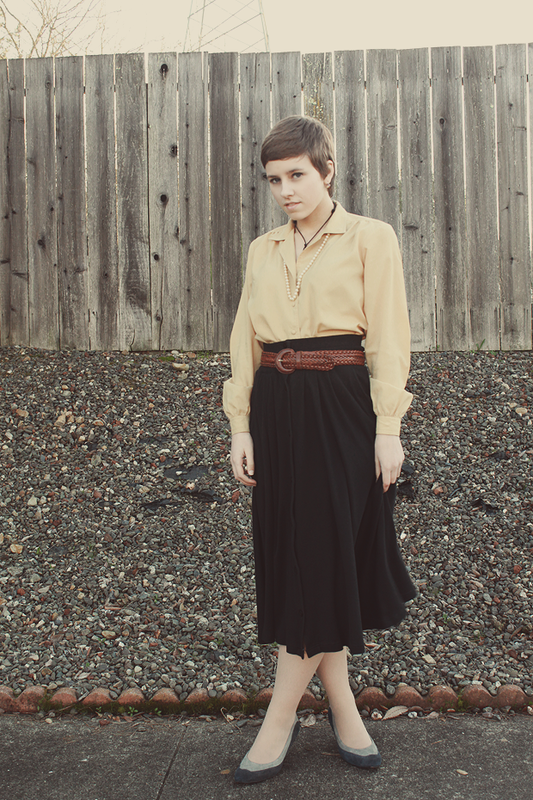 The long skirt is so perfectly suited to you! I'm in awe. hugely so. 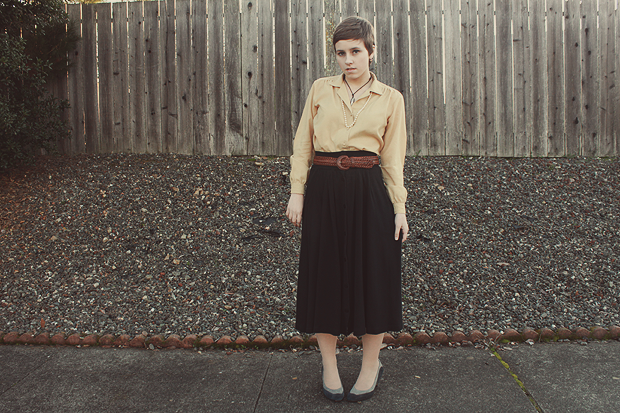 I love this outfit so much and am making it my modest fashion inspiration of the day because of it's beauty. 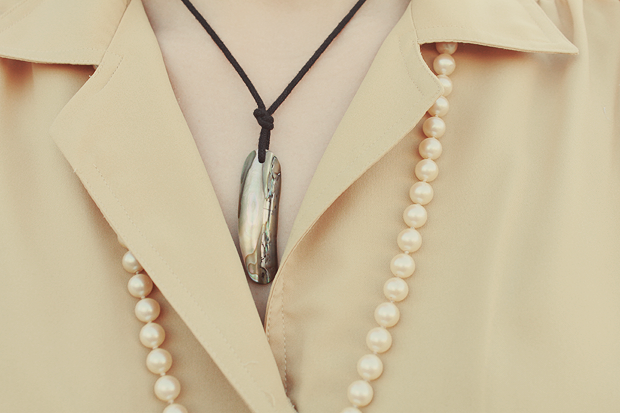 Your pearls really bring this whole outfit together so sweetly too! http://rubyeyedokapi.tumblr.com and later next weekend it will be on my own blog too.